According to new data published by The Lancet, superbugs are killing around 33,000 people across Europe every year. The deaths come as a "direct consequence of an infection due to bacteria resistant to antibiotics". 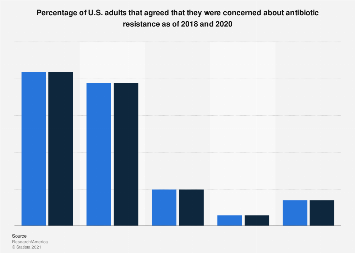 The burden of infection is measured in the number of cases, deaths and disability-adjusted life years of the superbugs and is equivalent to that of influenza, tuberculosis and HIV/AIDs combined. The following infographic shows where antibiotic-resistant bacteria is causing the most deaths in Europe. The toll varies greatly between countries and Italy accounts for a third of all cases across the continent with nearly 11,000 deaths in total. France comes second with over 5,500 while Germany, Poland and the United Kingdom all saw their deaths surpass the 2,000 mark. 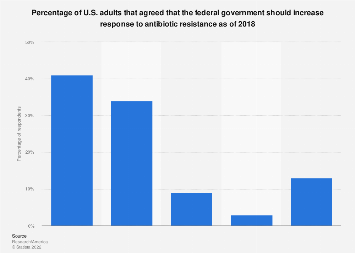 This chart shows the median number of deaths due to antibiotic-resistance bacteria in 2015.